Stephanie has been a stylist in the area for 13 years. 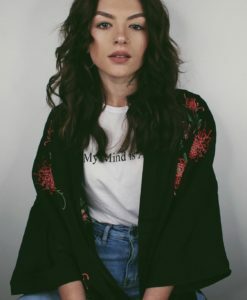 She decided to open Lush Salon in 2014 which quickly grew into Blank Canvas Salon and opened in its current location in 2017. The idea was to bring a space to the area for stylists to independently thrive while having the strength of a team behind them. Stephanie has experienced many aspects of the industry since starting her career. She has had extensive training in many aspects of the industry, including a trip to Italy to help formulate Pulp Riot’s faction8 permanent color line. 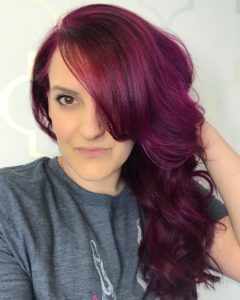 Stephanie is currently an international educator for Pulp Riot and spends part of her year teaching other stylists the ins and outs of color. 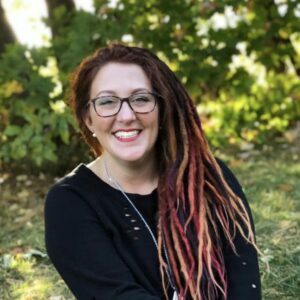 Stephanie has been recognized for her color work and has been published in the top magazines in the industry, including Modern Salon, American Salon and Behind The Chair. Stephanie uses Pulp Riot as her main color line. She is currently taking select new Balayage and Creative Color clients. Check out her work on her Instagram Page! Trisha has been in the industry for 14 years! She has a passion for her guest, wanting them to feel special and great every time they leave the salon. She specializes in custom creative coloring/foiling as well as cutting and finishing. She is a Redken Certified Haircolorist, with extensive training with Redken and was a Pureology Educator. She has worked with many well known stylists in the industry, back stage at hair shows and also Fashion Week in New York City. Trisha is also certified in Keratn Complex, Bio-Ionic Retex, Advanced Glycolic Smoothing System, and Hair Talk Extensions. Trisha uses Pulp Riot and Redken as her main color lines. Trisha is one of our Bridal specialists! She loves working with Brides and their closest friends and family on such a special day. Trisha earned the “Couple’s Coice” award on Wedding Wire for three years in a row. The award which recognizes the top five percent of local wedding professionals! For more information, please check out her Wedding Wire page! Kimmy has worked at a variety of different salons in her 11 year career as a stylist. This has given her a wide array of different skills which makes her a very versatile stylist. Her focus on putting customers at ease and giving them a hairstyle that suits their lifestyle is one of her passions. 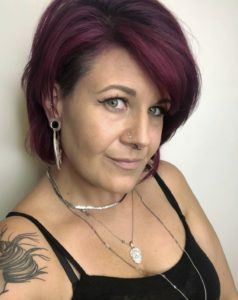 Kimmy has extensive knowledge in color and and Balayage and has taken many advanced cutting courses. Kimmy also offers Cezanne Smoothing Treatments and Keratin Express. Kimmy uses All Nutrient and Redken as her main color lines. Stephanie comes to us with 11 years of experience! She loves all aspects of this industry but her true passion lies in coloring. Stephanie loves to get creative and is constantly applying new techniques she has learned to her clients! She has attended a multitude of classes including Goldwell Academy’s Creative Blonding and Foundation, Goldwell Coloring 1 and 2, Eufora’s Up-Styling, Arrojo Advanced Razor Cutting, and Foundation Cutting. Stephanie is also certified in keratin treatments and hair extension application. Stephanie uses Pulp Riot and Goldwell as her main color lines. Michelle comes to us with 16 years behind the chair. Since graduating from Michael’s School of Hair Design, she has attended numerous advanced classes with Label.M, Paul Mitchell, Goldwell, Redken and Kevin.Murphy. Although Michelle loves all aspects of the industry, color is what really inspires her. Getting her clients to their desired shade of blonde in the healthiest way possible is one of her specialties. Making her clients feel comfortable in her chair and gaining their trust to make them look their absolute best is extremely important to her. Michelle also offers Olaplex in all blonding and toning services, as well as stand-alone treatments, for added insurance to ensure optimal hair health. 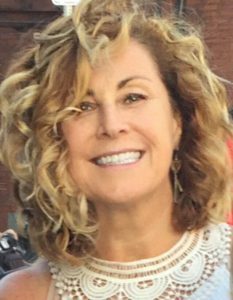 She also offers Keratin Express smoothing treatments and would love to incorporate more vivid hair clients into her repertoire! Michelle uses Redken and Pulp Riot as her main color lines. Karyssa started her career in the industry in 2008 and enjoys all aspects of hair and makeup. She graduated from Michael’s School of Hair Design and has trained with some of the top educators in the area. Some of her advanced education includes Goldwell’s Foundation Coloring 1 & 2, Elumen Avant-Garde Color, Creative Blonding, Tape-In Extensions and multiple makeup and waxing certifications. Karyssa is also certified in Cezanne Keratin Treatments. What we love about Karyssa is she really takes time and listens to her clients so she can understand exactly what look they are going for. Karyssa uses Goldwell as her main color line. To check out some of Karyssa’s work, visit her Instagram page! Kelly has been in the industry for 7 years. 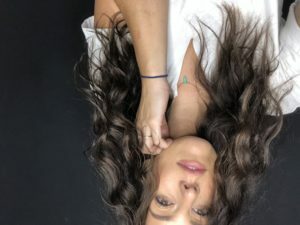 She has attended many advanced classes in those seven years including Advanced Goldwell Color with Derrick Zano and advanced All Nutrient Balayage. One of the things we love about Kelly is her gentle tone and thorough consultations to understand what her client wants and calm any nerves they might have. Kelly uses Pulp Riot and Redken as her main color lines. Kelly is currently taking new clients! Brittany comes to us with 14 years experience behind the chair. 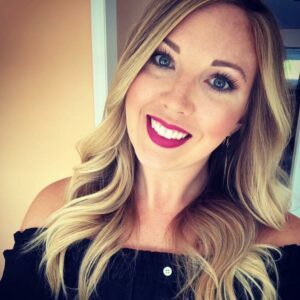 Brittany has a passion for education and has taken a multitude of advanced courses throughout her career. This includes being a Redken Certified Colorist and former Redken Artist. Brittany specializes in color corrections, short hair design and Balayage. Brittany uses Redken and Pulp Riot as her main color lines. Brittany is currently taking new clients! Lindsey has been behind the chair for 7 years. She specializes in lived in blondes & dimensional brunettes. Sublime attention to detail, her goal is to connect with each person who sits in her chair to best understand their hair needs. Lindsey is most inspired when she’s painting hair and has creative freedom. Lindsey uses Pulp Riot and Redken as her main color lines and Hairtalk tape ins for extensions. She works Tuesday, Wednesday, Thursday & Saturday. Lindsey is currently taking new clients! Chelsea come to us with 10 years behind the chair. 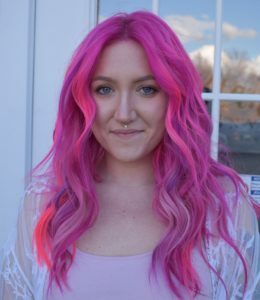 She has advanced education in Kevin Murphy Color and has been an Aveda mentor; helping with educating younger stylists on color and Balayage. 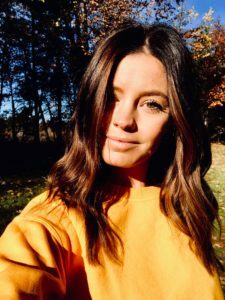 Chelsea has an extreme passion for life, Balayage and anything that involves color! She loves to cut everything from a textured bob to the longest hair in the world! Chelsea uses Kevin Murphy & Redken as her main color lines. Katelynn has been in the industry for 14 years and comes to us with extensive knowledge in her craft. On top of having mastered her color line, she has taken a long list of education in the last two years on creative color and Advanced Balayage! Kate has taken many cutting courses throughout her 14 year career and is confident she can customize a haircut for everyone who sits in her chair. She is also certified in Inca Glow smoothing system and hairtalk extensions. Kate uses Pulp Riot as her main color line. Lorri has been behind the chair for 25 years. Lorri’s knowledge not just in coloring and cutting, but in the industry as a whole is incredible. Lorri has taken a multitude of classes and has extensive training in coloring, cutting and foiling. She is a Ouidad certified stylist and truly understands the frustrations of curly hair. Lorri makes sure to connect with her clients on multiple levels so she can customize each color and cut to their lifestyle. Lorri uses Tutto and Pulp Riot as her main colorlines. Mel has been behind the chair for 8 years and absolutely loves what she does. Mel has extensive color training, using Aveda most of her career. Mel loves to do foil work or Balayage and can help you figure out which look is for you. One of our favorite things about Mel is how she can always make us laugh! She also specializes in updos for special occasions. Mel uses Goldwell as her main color line. 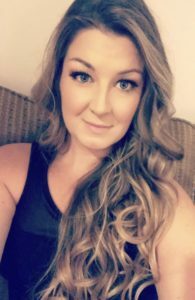 Amber comes to us with 9 years behind the chair, serving the Manchester/Londonderry area! Amber is extremely versatile and loves creating new looks for each person who sits in her chair. Amber is extensively trained in Blonding, Balayage, Creative Color & Extensions. She is also another one of our wedding specialists! Amber is booked year round for hair and makeup for many special events! She also now offers airbrush makeup! Amber uses Goldwell and Pulp Riot as her main color lines. Amber is currently taking new clients on weekday mornings and afternoons. Rebekah has been behind the chair for 16 years! She comes to us with in depth color knowledge, an easy nature, and a willingness to always go above and beyond for anyone she comes in contact with! 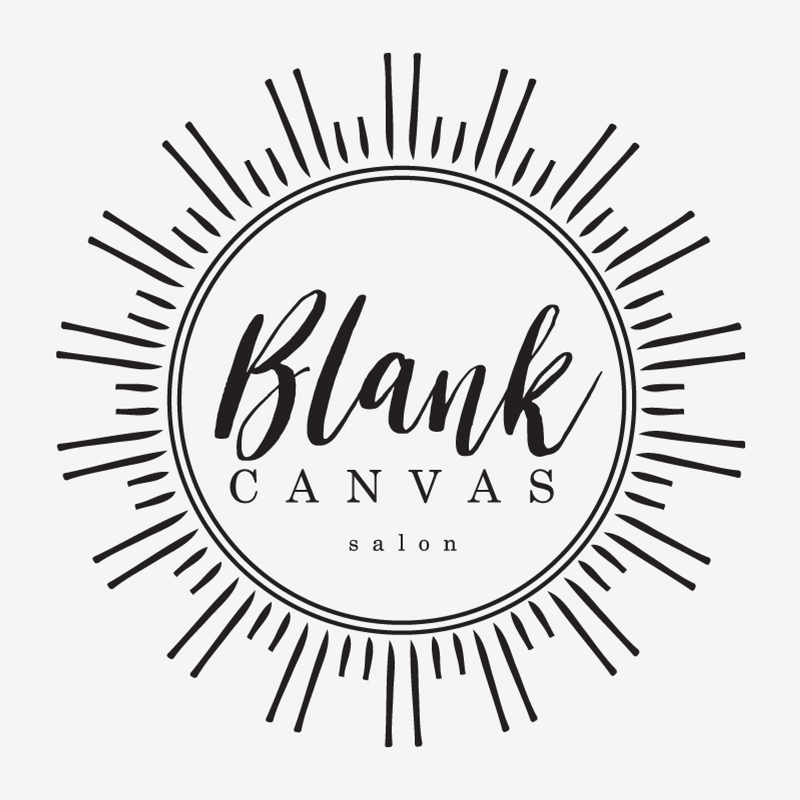 Rebekah’s specialties include cutting, both natural and creative color, and foil work! Rebekah uses Pulp Riot as her main color line. Rebekah is currently accepting new clients at this time. You can book with her by calling the salon! Basia has come to us with 8 years behind the chair. One of the things we love about Basia is her sweet nature, which helps her put her clients at ease when in her chair. She has taken numerous advanced cutting classes both traditional and razor cutting. Basia’s specialties include cutting, razor cutting, natural color, balayage, and foil work! Basia uses Kenra as her main color line. Maggie comes to us with extreme passion for the industry and a natural talent for hair. She will put you at ease with her calming energy and have you leave feeling like you’re leaving a spa. She has quickly moved through her 3,000 hour apprentice program and is currently taking new clients! Maggie uses Pulp Riot and Redken as her main color lines. You can book with Maggie by calling the salon! Danica is a recent graduate of Michael’s School in Bedford, where she earned Valedictorian of her class! Danica flew through our assisting program is one of the most passionate new stylists we have met! With many advanced classes already under her belt, she has a wide skill set and a natural knack for color. Danica uses Pulp Riot and Redken as her main color lines! Danica is currently accepting new clients! You can book with her by calling the salon! Claudia has an extreme passion for everything hair and fashion. One of the things we love about Claudia is her calm presence and eagerness to help anyone at anytime. Claudia specializes in creative color, balayage and styling. Claudia uses Pulp Riot and Redken as her main color lines. She is currently taking on new clients and you can book with her by calling the salon! Summer is not only one of our receptionists, but an incredible make up artist! You will often see her buzzing around the salon making sure everyone has everything they need! Summer loves making people feel good about themselves and teaching people a proper make up regiment! You can book a session with her by calling the salon! Carlene is a huge asset to our team! Carlene is our Morning receptionist and is responsible for getting the salon moving in the morning! We love Carlene’s calm presence and attention to detail. You will often see her mingling with all our guests and making sure everyone has what they need!